Using the latest in Kodak document scanning equipment and Kodak Capture Software we collect your boxes of paperwork in our unmarked vehicles and bring them back to be booked into our tracking system. We prepare the paperwork for scanning by removing staples and folds. Documents are then scanned to PDF and named. The images and index are then imported into any of our database solutions or for import to your own in house system. Using Contex scanning equipment we can scan large formap plans, drawings, maps and sketches up to 50 inches wide. We are one of only a few companies with this capability in the country and offer large format scanning from 1 page to several thousands. Stored in our warehouse we can offer a secure storage solution for your boxes of paperwork or files. In addition we offer a 1hr response to file request which are scanned on demand and returned within the hour electronically to your desk. Using market leading database software ensures you meet your obligations under legislation such as the Data Protection Act and the Freedom of Information Act. Our database software conforms to BSI PDC 0008, 0009,00010 for legal admissibility of documents in a court of law. It also complies with ACCA, ICAEW ,HMRC, FSA & FDA regulations. We can produce a self contained Electronic Document Management (EDM) solution on CD, DVD or USB. 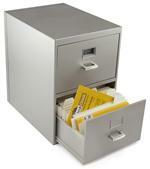 It is very simple to use and can be designed to fit your needs and existing filing system. Our digital image management system is a high-performance, cost-effective solution that we can customise to meet your exact needs - all that is needed to access it is a web browser. By using secure dedicated servers and SSL encryption we can offer you with an internet system for retrieving your documents all over the world. We can take your existing system and import your electronic files onto our online document archive. We have extensive capability to capture index both manually or automated. We have a large manual data entry capability which is probably second to none. We also have a range of forms processing software to automate the index process including full OCR packages. Using the latest in film and fiche scanning technology we are able to capture an electronic image from your standard 16mm and 35mm microfilm. We take the images and index them with fields or your choice. The images and index are then imported to the system or your choice. Outsource you GIS digitisation today to our experienced team. Security should always be a priority when thinking about your companies sensitive business data. As we believe Document Scanning should be an end to end process we offer second to none service for confidential document shredding. Save yourself the time and expense by using our specialist service.